The top bar has the name of the Lodge, "Connor". The Compass and Square is a standard silver Past Master's Jewel with a fixed "G", suspended from the bottom bar which has the number, "Masonic Lodge No. 189". History of Warrant No. 189 ~ Dublin, 1749 – 1821. I have gone into a little more detail regarding the history of the Warrant of this Lodge prior to it reissuing to Connor Lodge, for one very good reason - Daniel O'Connell, "The Liberator" and Freemason, who was initiated into Freemasonry in Lodge 189 in 1799. Warrant No. 189 issued to brethren in DUBLIN on the 1st February 1749. Volume 1 of the extant Grand Lodge Registers record 175 brethren registered between 1758 and 24th January, 1806. Series two, Vol. 2 of the Grand Lodge Registers show regarding Warrant No. 189 :-Isaac Moore; John Andrews and Sam. Eaton, registered 1st February, 1748. No indication as to Master or Wardens. As was the practice in Dublin Lodges used a Local Dublin Number in conjunction with their Warrant No. - Accordingly Lodge 189 would have been reffered to in Dublin as "Lodge No. 25/189"
Lodge 189 used Local No. 25 from 1750 to 1753, No. 24 from 1754 to 1758, No. 23 from 1759 to 1760, No. 22 in 1761, No. 21 in 1762, No. 20 from 1763 to 1765, No. 19 from 1766 to 1767, No. 20 from 1768 to 1772, No. 17 from 1772 to 1773, No. 16 from 1774 to 1776, No. 15 from 1776 to 1777, No. 14 from 1777 to 1799, No. 13 from 1799 to 1802. Working in "Crosson's", Kennedy's Lane, DUBLIN 1790. (A.R. 1790) Fratrimonium Excelsum  Grand High Knight Templars Encampment of Ireland and K.R.C. No. 1 - Lodge No. 14/189 -Richard Kelly, Master; James Horan, S.W. ; Arthur Savage, J.W. - meet every second Tuesday, at Crosson's, Kennedy's lane. A List of the Lodges, and the names of the Masters and Wardens who compose The Grand Lodge of Ireland, from the 24th June to the 27th December, 1793 :- Local No. 14. Warrant No. 189. James Collins, John Gray, William Lambert, 82 Bride Street, Tuesdays. Daniel O'Connell was Initiated in 1799 in Masonic Lodge No. 189, Dublin. He was the W.M. of No. 189 in 1800, an affiliate member of Ancient Union Lodge No. 13, Limerick City and the Founder Senior Warden of Lodge No. 886, Tralee, County Kerry. 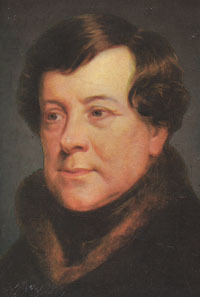 Daniel O'Connell published a letter in regard to his membership of the Order in the "Pilot" newspaper in 1837 and this resulted in he being "excluded", not expelled, from all rights of Freemasonry in 1837. The question of Daniel O'Connell's membership of the Order highlights the issue of the decline of membership of Roman Catholics, which in the late 1700s and early 1800s would have represented approximately 67 percent of all Freemasons in the Craft. A number of papers and articles on Daniel O'Connell, dealing with his life, his membership of the Order and the effect of the Papal Bulls on the general membership of the Order can be accessed by the following Link ~ Daniel O'Connell. Meeting at "The Moira Tavern", DUBLIN, 1813. Meeting at Morrison's, Dawson Street, DUBLIN, 1814. A further 31 brethren registered up to 6th December, 1816. "We, the Master, Wardens, and Brethren of Lodges No. 180, 189 and 792 return our sincere thanks to the Rev. W.D.H. McEwen, for the very appropriate and impressive Sermon delivered to us in the Presbyterian Meeting House of Killileagh, on Tuesday, the 27th of December, being the anniversary of St, John. Meeting at D'Arcy's, Earl Street, DUBLIN, 1816. As Grand Lodge received no returns from Lodge No. 189 from 1818 or thereafter Warrant No. 189 was cancelled by Grand Lodge on the 5th July 1821. History of Connor Lodge No. 189. The History of the Brethren who Labour as "Connor" Lodge No. 189 is linked with Warrant No. 802 as the Brethren of "Connor" lodge No. 189 originally commenced Labour under Warrant No. 802. Warrant 802 Issued to The brethren in Connor, Ballymena, Co. Antrim, on the 6th November, 1794 and was exchanged for Warrant No.189 on 4th October, 1821. Accordingly, I set out hereunder the history of "Connor" Lodge Firstly under Warrant No. 802, from 1794 - 1821, and Secondly under Warrant No. 189 from 1821 - to date. Lodge No. 802 1794 - 1821. "6 November, 1794 – Ordered a Warrant  to Brs. Jno. Irwin, Wm. Lormer and Robt. Johnston to hold a Lodge in Connor in the County of Antrim." In accordance with the Grand Lodge Order Warrant No. 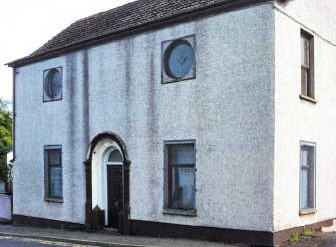 802 issued to brethren to hold a Lodge in the village of CONNOR, Ballymena, Co. Antrim, on the 6th November 1794. Volume 3 of the extant Grand Lodge Register re: Warrant No. 802 Jno. Irwin; Wm. Gorman and Rob. Johnston registered 6th November, 1794. No registration of Master or Wardens. Northern Star, 22nd July, 1796 - Masonic Sermon. "The Masters, Wardens, and Brethren of Lodges No. 424, 551, 590, 676, 704, 725, 775, 776, and 802 do return our most sincere thanks to the Rev. Foot Marshall for the excellent Sermon delivered by him in the Meeting House of Connor, the 24th day of June, on the duties and principles of Masonry. David Manson, Sec. 802, Kells. N.B. The Members of 802 return those different Lodges their unfeigned thanks for attending with so much regularity that day. Only 3 other brethren registered up to 29th May, 1806. In the early days the brethren were registered in batches the largest being of 32 all registered 6th October, 1810. A total of 136 brethren are registered up to 25th December, 1820. Belfast News Letter - 2nd July 1814 - CONNOR. "We the following Lodges of Freemasons viz:- 364, 382, 506, 514, 802, 876, 990 & 1006 assembled at Connor on the 24th June to celebrate the festival of St. John, where was exhibited to us a most impressive sermon by our worthy Brother Rev. Dr. Willson. The Irish Lodge: Its Furniture and Properties by Bro. C. Marshall Rose. Of the articles of furniture still in use, one of the greatest in antiquity is the candlestick. It is not, therefore, surprising to meet with such in Masonic Lodges. There is one which may have had its origin and formed part of the stone altar of the Abbey of Kells, near Connor, in County Antrim, built in A.D. 519 and destroyed in 1641, and it is reputed that Lodge 802, Kells, now No. 189, Connor, possessed such a candlestick. This candlestick is somewhat of the shape of a double cube, and at each angle is a carving of a human face, possibly representing the four Evangelists; on the four sides are carved in bas-relief the Square and Compasses, Level, Plumb-rule, and the letters A.K.L. (Abbey Kells Lodge) 802. It is described as an Altar Candlestick, or stone Coinnleoir. In olden times a coinnleoir formed part of the furniture of some Irish Lodges; this indicates an old custom, still maintained, to place the Candlestick on the Altar, not on the floor of the Lodge. Warrant No. 802 was sent in to Grand Lodge on the 24th October, 1821 in exchange for Warrant No. 189. Lodge No. 189, 1821 - to date. Warrant No. 189 was reissued to `Connor Lodge' in CONNOR, Ballymena, County Antrim, on the 4th October, 1821 in lieu of Warrant No. 802. Series two, Vol. 2 of the Grand Lodge Registers shows - Jas. Frew; Hen. Dempster and Jas. Gow, all from Lodge No. 802, registered 4th October, 1821. No indication as to Master or Wardens. A further seven brethren from Lodge No. 802 registered 30th October, 1821. A further eight brethren from Lodge No. 802 registered 1st April, 1822 and again four brethren from the same Lodge registered 5th October, 1822. These out of a total of 24 brethren registered up to the latter date. "Lodge 189 and 878 - 14 September, 1838 – Read the Application of Lodges 189 & 878, which were suspended for going in Masonic procession contrary to Orders of the Grand Lodge praying that the suspension may be removed. Ordered that the Application be not received, they not having sent in their Warrants, pursuant to the Order of the Grand Lodge"
2 September, 1850 – Read a Memorial from 189 Connor praying for restoration having been suspended for joining in procession on St. John’s Day. Recommended by Bro. McNeale, P.G.M. of N. Antrim with whom they have deposited their Warrant. The Board recommend that the suspension of 189 be continued for 6 months from the present date. 30 September, 1850 – Read Memorials from Lodges 189 and 676 praying that the term of their suspension which has been fixed at 6 months may be shortened. Read also a letter from Bro. McNeale, P.G.M. of N. Antrim recommending the prayer of the Memorial to be acceded to. With every wish to comply with the recommendation from the P.G. Master the Board feel that the tenacity with which some Lodges hold to the purpose of Masonic processions in direct contravention of the well known rules and orders of the Grand Lodge imperatively calls for a more stringent application of the penalties thereby incurred that the Grand Lodge has hitherto exercised; and when it is recollected that the 6 months suspension of the Warrants was in itself a mitigated penalty and that the Board cannot discover any new feature in the case which could warrant a full exemption thereof, they have only to regret they cannot recommend the Grand Lodge to comply with the prayer of the Memorial. Grand Lodge Minutes dated 3rd October, 1850 – Agreed to." As Brethren may be aware Grand Lodge tried without initial success to separate the Royal Arch Degree and the High Knight Templar degree from the Craft Lodges in or about 1806. This initial attempt by Grand Lodge was met with strong opposition from the Craft Lodges who felt they were entitled to practice these Degrees by virtue of their Craft Warrants. 31 May, 1858 – The Grand Royal Arch Chapter begs to report to the Grand Lodge that they have been informed that the following Lodges persist in working Royal Arch Masonry under their Blue Warrants without any authority from the Grand R.A. Chapter. Viz: Nos. 45, 56, 189, 194. 246, 364, 537, 676 and 775 and as the Grand R.A. Chapter has no jurisdiction over these Lodges request the Grand Lodge will make such order as may put a stop to such a serious violation of the Masonic Law. The Board recommend that these Lodges be called upon to show cause why their Warrants be not cancelled for conferring High Degrees without proper Warrants." A total of 91 brethren registered up to 11th July, 1856. 6 January, 1859 – Read the report of the Board of General Purposes viz. – Read the Report of the Provincial Grand Master of North Antrim, respecting the Complaint of 704 Ahoghill against Lodges No. 45, 189, 194, 246, 364 537 676 working Royal Arch Masonry and other High Degrees without Warrants. The Board recommend that as it appears from the report that Lodge No. 676 Ballymena has been convicted of the charge of conferring the Royal Arch degree without a Warrant, that they be called on to show cause why their Blue Warrant shall not be suspended for so doing. That each of the other Lodges be warned that the subject of the complaint is against the Masonic Law, and caution them against transgressing the rule on that head. Agreed to." Warrant No. 189 was removed to KELLS, Ballymena, Co. Antrim in 1860. Series three Vol. 8 of the extant Grand Lodge Registers shows registrations commencing with Thomas Agnew who was registered 4th September, 1864. Lodge 189 was working in CONNOR, Ballymena, Co. Antrim, 1894. A total of 128 brethren registered up to 1st May, 1900. In most cases the dates when the degrees were conferred and the issue of certificates is shown. Five members served in the 1914 -18 War and all returned. Series four Vol. 13 of the extant Grand Lodge Registers shows a total of 176 brethren registered up to 17th November, 1923. In most cases the dates when the issue of certificates is shown, together with the occupation of the brother. Series five Vol. 18 shown as Vol. 2 of the extant Grand Lodge Register commences with the registration of George McDonald, Railway Porter, registered 1st January, 1924 and a total of 151 brethren registered up to 2nd December, 1952. In most cases the dates when the issue of certificates is shown, together with the occupation of the brother. Warrant No. 189 was removed to KELLS, Ballymena, County Antrim, 1952. "Lodge 189 - 20 May, 1953 – Read a request from Lodge No. 189, for permission to call the Lodge “Connor,” No. 189, Kells, Co. Antrim. Permission was granted." Original Warrant returned for certification of change of meeting place. The document was in a wrinkled condition and writing faded. On instructions of the D.G.M. a Duplicate copy was issued and the original returned to the Lodge, marked “Cancelled” for display purposes, 7 August, 1953." The said register commences with the registration on affiliation of S. G., Master Painter (493) registered here 5th June, 1953. A total of 125 brethren registered up to 6th April, 1982. In most cases the dates when the issue of certificates is shown, together with the occupation of the brother. Details of when Connor Lodge No. 189 meets. Connor Lodge No. 189 meets at on the 1st Tues. at 8.00p.m. (Except 7 & 8) at Freemasons' Hall, 5 Church Road, Kells, Ballymena BT42 3JU, County Antrim.